The increase in the minimum wage will cover about 600,000 people in Azerbaijan, the Ministry of Labor and Social Protection of Population informs. The increase in the minimum wage, according to the decree of President Ilham Aliyev "On increasing the minimum monthly wage" and amending the order "On increasing the minimum monthly wage" of December 25, 2017, is a very important step to improve population’s welfare. 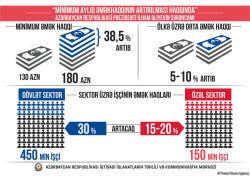 According to the order, the minimum wage in Azerbaijan from March 1, 2019, will increase by 50 manats (38.4 percent) and be equal to 180 manats. Thus, the salary in the country has reached a minimum level of subsistence (180 manats). 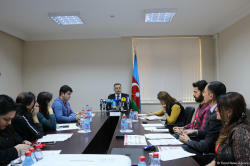 About 335 million manats ($197 million) will be allocated from the state budget to increase the minimum wage in Azerbaijan in 2019, executive director of the Center for Analysis of Economic Reforms and Communications Vusal Gasimly told reporters on February 9. As he noted, in subsequent years, this figure will be increased to 400 million manats ($235 million). “The increase in the minimum wage will cover 600,000 people, of which 450,000 work in the public sector. As many as 270 million manats ($159 million) will be used to increase salaries of civil servants, the rest - to ensure insurance and tax payments. The salary of civil servants will increase by about 30 percent, while wages in the private sector will increase by 20 percent. Thus, the level of the average salary in the country will grow by 10 percent”, said Gasimly. 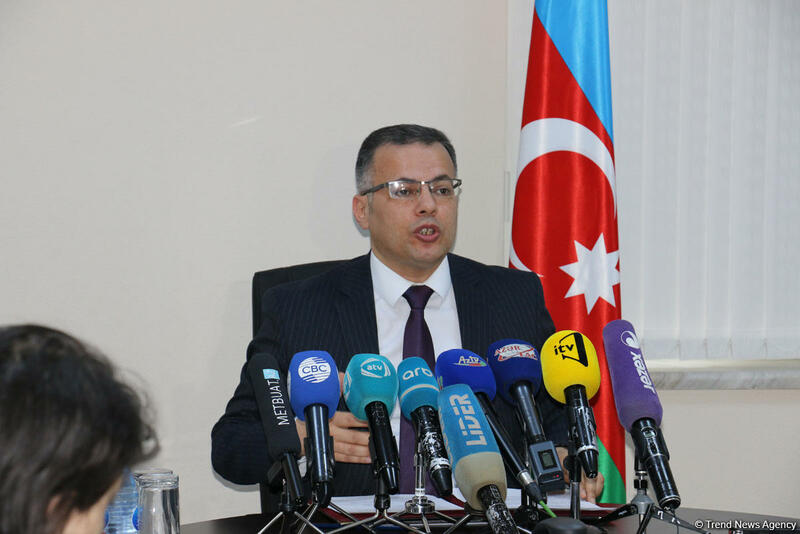 The minimum wage, as Gasimly said, will be increased by 38.5 percent (from 130 to 180 manats) from March 1, 2019. The increase will affect more than 450,000 employees of budgetary institutions, whose salaries are paid according to the Unified Tariff Schedule. This list includes employees of educational institutions, workers involved in the field of science, health, social welfare, culture, youth and sports, agriculture, ecology, housing and communal services, transport and communications, land reclamation, water management and fisheries; civilian workers of a special type of civil service, whose wages are paid according to the Unified Tariff Schedule; civil servants who receive the minimum wage in the auxiliary positions of the general type of public service; working in state bodies, but not considered civil servants (cleaner, janitor, gardener, security guard, stoker, employee without qualifications, etc. ); low-paid lower-level employees in a number of budget organizations. Over the past 15 years, the average salary in the country has increased sevenfold, and the minimum wage, 6.5 times. According to the law, it is forbidden to issue wages to employees below the minimum wage set by the state. Improving the level and quality of citizens’ life is the main goal of the social policy of Azerbaijan and is implemented through ensuring employment, a high level of medical services, and protecting the rights of pensioners, large families, and disabled people. 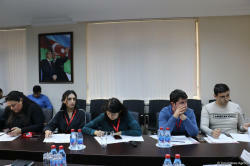 In Azerbaijan, issues of social protection of the population, an approximation of living standards to the standards of developed countries are among the top priorities of state policy.